'Green Mountain, Blue Sea' is CFIF's socio-environmental project that invites its members to join a well-organized movement which focuses on giving back to the local community and the environment. The future belongs to our children and for them to enjoy the beauty of nature just like we have been fortunate to do so before them, we leave seeds in the earth behind us. In close collaboration with local organizations, we are running a reforestation project together with our members to make the mountains greener and the ocean more blue - in Cebu. 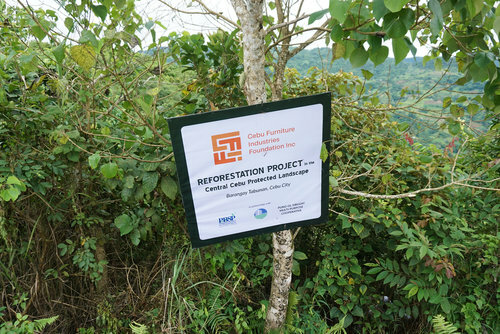 The 2017 Green Mountain, Blue Sea project was held last July 2017 where 2 hectares in Barangay Tabunan in Busay were reforested with 3,000 seedlings. All our members were called to buy as many seedlings as they were capable of contributing with and in exchange, the members were free to join and inspect the area, learn about planting and meet the farmers. According to the members, this was a great outing opportunity to bond with their team.